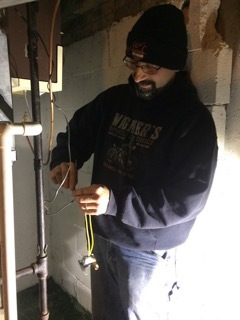 Meet Jim - HVAC: Kenna Heat Cool Solutions Inc. Many of you may know Jim. He is fantastic with clients and is meticulous about getting things right. Jim is great at explaining what he finds when servicing a system, often accompanied by photos. He has a great thirst for knowledge and is always looking for ways to improve things for his clients. Jim lives in Antioch with his wife and their three sons. He is active in his church and helps coach his sons’ sports teams.